Galaxy Technoforge (INDIA) Pvt. Ltd, incorporated in the year 2002 servicing both automotive and non-automotive sectors. Galaxy Technoforge manufactures wide range of HOT FORGED PROFILE RINGS / BEARING RACES / GEAR BLANKS for automotive and non automotive segments. Since its inception, Galaxy Technoforge (INDIA) Pvt. 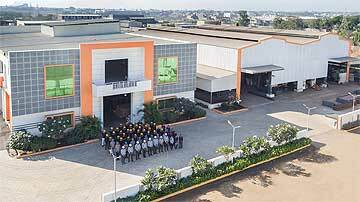 Ltd has incorporated substantial investment in creating state-of-art forging facilities with WORLD CLASS CAPACITIES AND CAPABILITIES. These facilities also include In-House Heat Treatment Shop and Full Fledge Machine Shop under single roof. 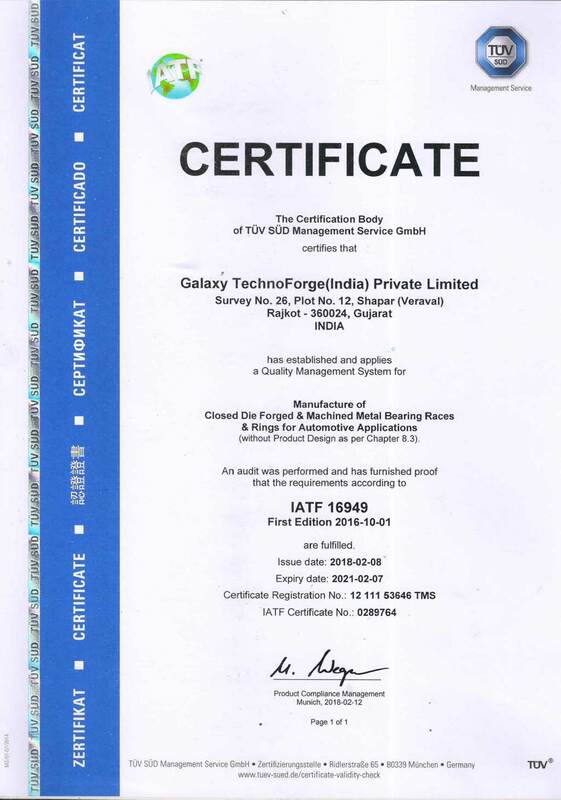 Galaxy Technoforge (INDIA) Pvt. Ltd has been successful in taking Quantum Leap in the business and Major Premium customer added into building strong Long term relationship. All our operations have scaled up right from Machinery, Land Utilization, Employees, Customers, Vendors, Bankers, Business Associates and References. Elevating the Eco-system has always been into the DNA of Galaxy Technoforge. Copyright © 2017 Galaxy Technoforge (I) Pvt. Ltd., All Rights Reserved.